The Santa Fe Sport adds a hearty dose of luxury to your errand runs, with supportive seating and plenty of leg room all around. If you crave the finer things, add Hyundai's handsome leather upholstery into the mix. The Rogue is big on family-friendly utility. If you need the extra space, for example, you can add an optional third-row seat to accommodate small kids. However, cabin ergonomics aren't quite as impressive as in the Santa Fe Sport, which was designed to keep you feeling comfy, no matter how long your commute. 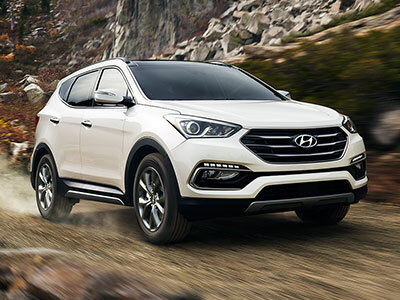 This year, the Santa Fe Sport is rolling out Apple CarPlay and Android Auto connectivity, so you can call home or change music playlists without ever lifting your hands from the wheel. This technology is so seamless you'll wonder how you ever lived without it. Both models feature a crisp, responsive central touchscreen for easy access to all your favorite infotainment apps. The Rogue doesn't offer Apple CarPlay or Android Auto, but it does feature Siri Eyes Free, so you can use the sophisticated iPhone voice controls to read texts or make note of any random thoughts that occur to you while driving. We like the seamlessness of the Santa Fe Sport's upgrades this year, so the nod goes to Hyundai. With a world of top safety scores and high-tech driver aids, the Santa Fe Sport does the worrying for you. In government crash tests, this crossover earned a perfect five-star rating for overall protection. Savvy aids alert you to nearby danger and the forward collision warning system can even hit the brakes to help you avoid a crash. No worries here as you move from destination to destination with ease. 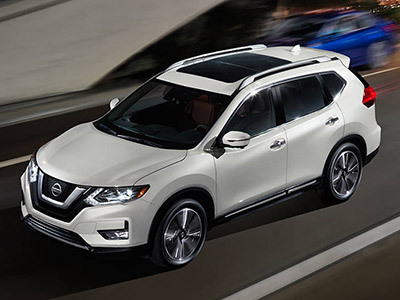 Like the Santa Fe Sport, the Nissan Rogue earned the Insurance Institute for Highway Safety's top score of "Good" in every single crash test. We also like its Nissan Connect telematics, which automatically alert emergency services if you need help. However, the Rogue is low on visibility, and you may find yourself relying on the rearview camera a little too much. To save the absolute most at the pump, the Rogue is your crossover. With front-wheel drive, it earns up to 26 city/33 highway mpg. In addition to a penny-pinching performance, the Rogue is responsive and well mannered around town, guiding you through cramped city grids with confidence. Hop into the Santa Fe Sport for a comfortable cruise, whether you're in the city or on the highway. The Santa Fe Sport isn't quite as good with gas, but it still manages to impress with up to 21/27 mpg. Both crossovers put a modern spin on the family-friendly cabin, but the 2017 Hyundai Santa Fe Sport is our overall favorite. Inside, you'll find handsome design and comfort for five, tech features to keep you connected, and a safety ratings that will put your mind at ease. It's an impressive compact crossover package.